David has a broad practice base which has encompassed appearing in both civil and criminal jurisdictions. 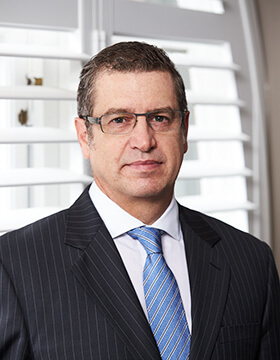 David practices in a wide range of commercial and civil law including trade practices, debt recovery, intentional torts, common law, insurance, personal injury and professional negligence. Prior to commencing a career in law, David practised as an accountant with various chartered accounting firms in the areas of taxation and audit and then with several merchant banks.